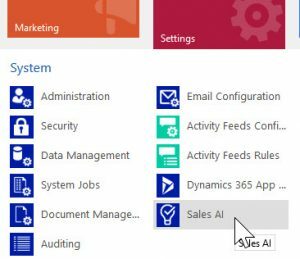 If you are using Microsoft Dynamics 365 Sales AI (Dynamics 365 Sales Artifiical Intelligence – also known as D365 Sales Insights), you might come across the issue where Sales AI link in Dynamics 365 Settings navigation disappears or cannot be located. 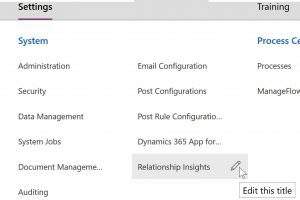 I have seen this issue with a number of our Customers and I have also seen others reporting the same issue on Power Platform / Dynamics 365 Community (http://community.dynamics.com). Having raised a ticket and spoken to the Product team about it, a work around for this issue is simple and effective, albeit not the most elegant. However, until this issue is permanently resolved, the quick and easy solution for this issue is to open up the Site Map and change the name of the navigation link. Here is how to do it: Go to Settings –> Solutions –> Open a solution which already have the main application sitemap added to it. If not, crete a new solution and add the application Sitemap to it under “client extensions” then select Sitemap and click edit. Alternatively, you can make the change in the deafult solution (not recommended – bad practice) by going to Customisations –> Customise the System –> Open default solution –> Client Extensions –> Site Map –> Edit. 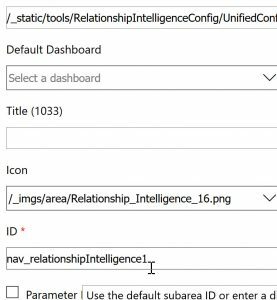 Typically, the Relationship Insights navigation is on the sitemap but yet is still not visible in settings menu. In which case, click on the edit button next to it. If it isn’t there, then create a new navigation link. Once you start editing, update the “ID” Value by adding a digit to the end of the ID (or change the value completely as below. As you can see, I only added the digit “1” to the ID. Once you finish, save and publish. 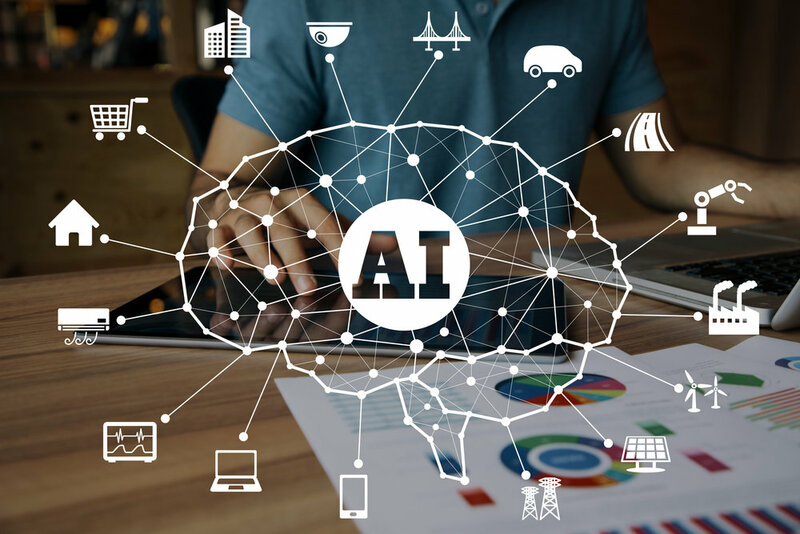 Once done, you will have the Sales AI navigation link will be permanently there and hopefully it will not disappear again. If this post has helped you or resolved your issue, please comment below so others can benefit from it.